The International Swordfighting and Martial Arts Convention has brought together the finest instructors from around the world to teach the best classes in Western Martial Arts for over a decade. In that time many participants have had their first exposure to WMA and many more continue to return and hone their skills. Participants choose from over 50 classes on almost any Western Martial Arts subject. Classes are always offered on the fundamental weapon systems and masters but we also present unique classes such as Carpathian mountain axe, Edwardian Bicycle Self Defense and Germanic Dueling Shields. The true art and skill of Spanish fencing La Verdadera Destreza has for too long been associated with a needless mystique. 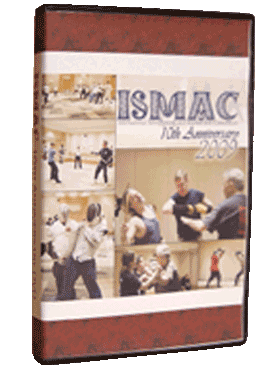 This class will remove much of the mystery and adhere to a totally pragmatic combative approach. Spanish technical terminology will be dispensed with as much as possible while dealing with this subject in plain English utilizing simple direct terminology. After the introduction of a few basic tenants of Spanish swordsmanship the focus will be on practical blade techniques used both offensively and defensively, along with the corresponding evasive and aggressive footwork. This will include the concepts of timing, distance and proportion as viewed by Spanish masters of the 17th, 18th and 19th centuries. For a detailed examination of La Verdadera Destreza see Maestro Martinez's DVDs. The instructional objective of this workshop is to provide participants with a practical overview of the cultural knife arts of Andalusian Spain. The weapon is the navaja sevillana, a folding clasp-knife whose blade is believed to be the inspiration for the bowie knife that evolved in the American Southwest (a region originally populated by Spanish colonists). You will learn the tactical rudiments of tirar la navaja, the methods of knife-play that evolved in Spain, including grips, guards, basic attacks, basic counter, and dexterity drills. This block of instruction will focus fundamental techniques and conceptual applications for individual and multiple opponent engagements with the bowie knife. There are many ideas about bowie knife training, some historic and some modern. Some cross the boundaries between Asian and Western martial arts. I think this speaks well for the universal appeal for the bowie knife. That said, this class is not confined solely to any of these viewpoints. Rather, we will work with all possibilities in the hope that it may be useful to historian, martial artists, stage combatant, historical re-enactor and those who make their living in the profession of arms. This instruction should be viewed as a roadmap that reflects the instructor's 10 year journey with this remarkable weapon. This is no longer available through the Swordsman's Shop but is still available. To order please go through Amazon.